Last week I shared with you how I repurposed ceiling fan parts to make a coat rack. I also mentioned how I had a planter project in the works using more of the fan blades. 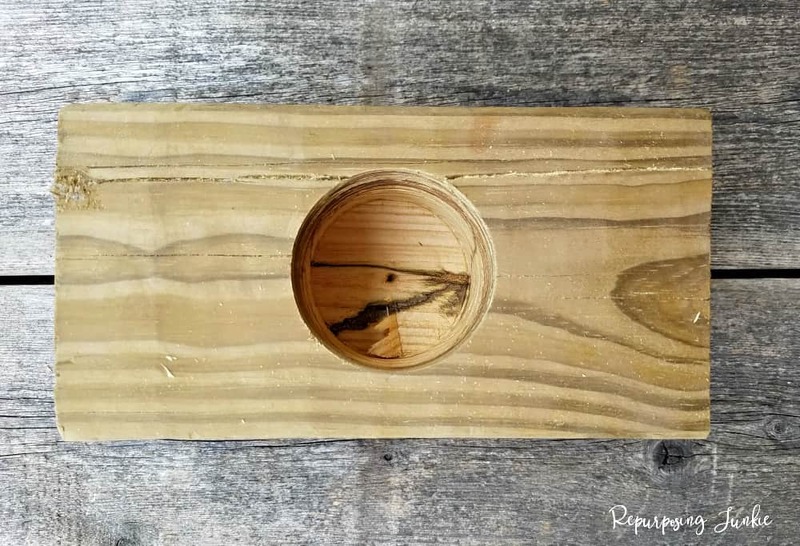 In this post I’ll be sharing How to Make a Planter using Repurposed Fan Blades and Scrap Lumber. 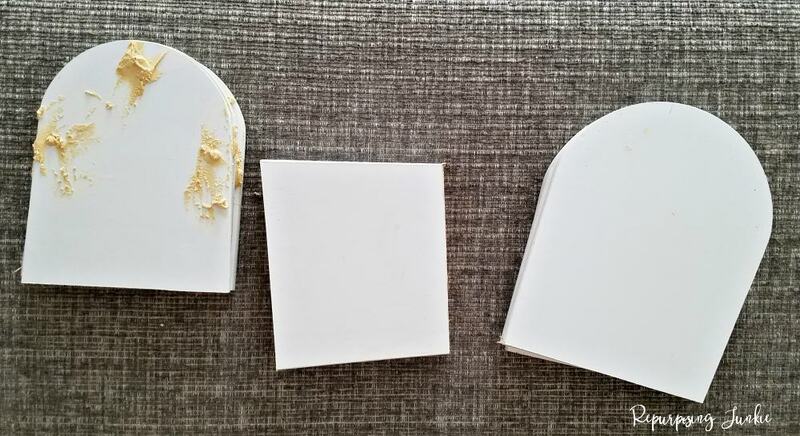 When I cut the ceiling fan blades pictured above, I got 3 different parts. Three of the bigger ends were used in the coat rack project. The other ends of the fan blades slathered in wood filler, pictured below, are going to be used in the planter project. I have a bunch of scrap lumber that I got from my in-laws leftover from their fence project, that will be used as the planter. First I sanded the wood filler smooth on the fan blades. Then I attached ears to each of the animals using hot glue, which got a little goopy in some places, oops. The animals were painted different colors, and I used a paint marker to draw faces on these cuties. The monkey’s and tiger’s ears were made using an ice cream bucket lid, that was cut into the ear shapes. The elephant’s ears were made using the remaining cane I had on hand. The lion’s ears were made using silk leaves. 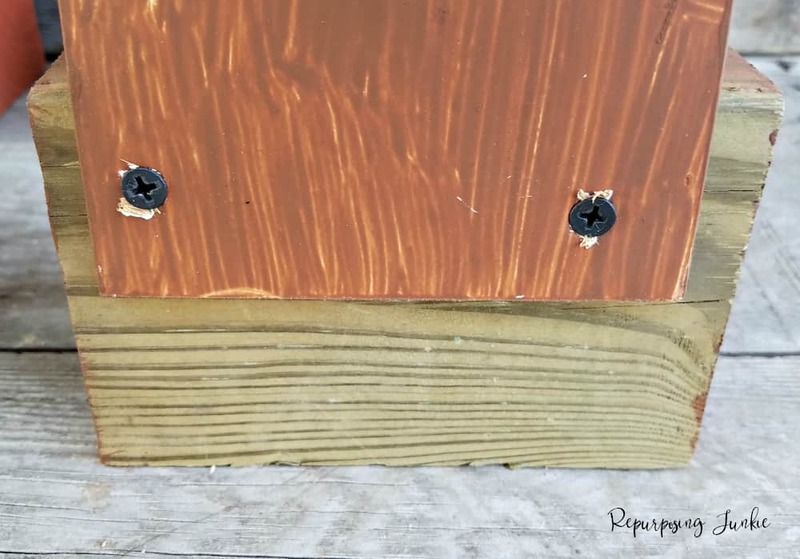 My husband used the Forstner bits and drilled holes in the blocks of scrap wood. I then attached the fan blade animals to the back of the wood blocks using screws. I also drilled holes in the bottom of the planters for drainage. 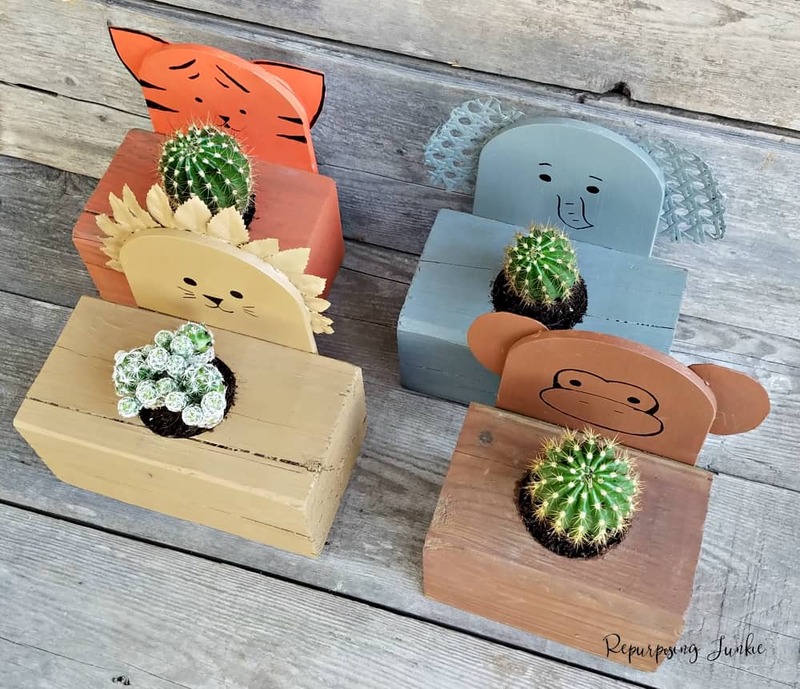 I got these cute cacti to plant in the animal planters, but some of the cacti are too big, to see the animal faces straight on, so I might replace them with little succulents so the animals are better seen. So what do you think of these animal planters? I’m thinking some cute little succulents are more in order to be able to see these sweet faces, what do you think? The planters are finding their home on our porch. 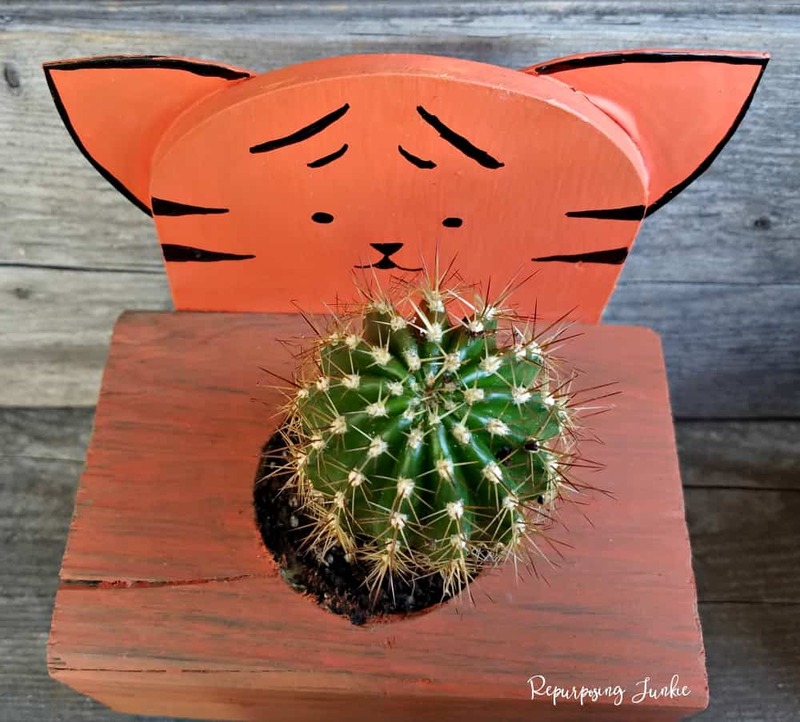 Thanks for sharing, How to Make a Planter using Repurposed Fan Blades and Scrap Lumber!! Those are fun!! I bet your girls love them!! Thank you Tara!! They do think they’re pretty cute! These are adorable Keri! Love your creative mind, you can put a variety of things together and come up with the cutest things. Thank you very much Linda! Oh Keri, I love these so much! They are the cutest little planters with the cacti inside! Another amazing project from those blades, wow! Well done! Thank you very much Katrin!! Keri, those are adorable! I love the little faces and the ways you’ve drawn them are so right on. I can tell immediately what they’re supposed to be. I have no drawing ability at all. I love the planters too, and I bet they are so cute on your porch. I couldn’t tell whether succulents would look better. The cacti are so cute. I don’t have any trouble seeing those faces. Pinned.